This book examines state-of-art research on designing healthcare applications with the consideration of security and privacy. It explains the Mobile Healthcare Network (MHN) architecture and its diverse applications, and reviews the existing works on security and privacy for MHNs. Critical future challenges and research problems are also identified. Using a Quality-of-Protection perspective, the authors provide valuable insights on security and privacy preservation for MHNs. Some promising solutions are proposed to accommodate the issues of secure health data transmission, misbehavior detection, health data processing with privacy preservation and access control in MHNs. Specifically, the secure health data aggregation explores social spots to help forward health data and enable users to select the optimal relay according to their social ties and health data priority. The secure aggregation achieves the desirable delivery ratio with reasonable communication costs and lower delay for the data in different priorities. s control with user-defined access policy in MHNs. 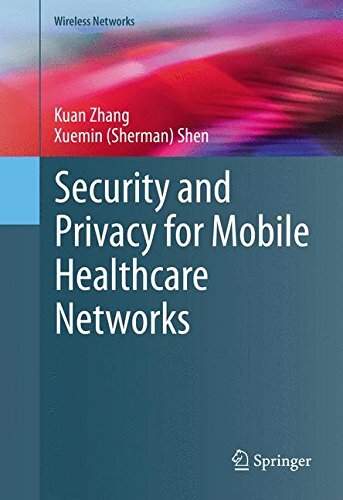 Security and Privacy for Mobile Healthcare Networks is designed for researchers and advanced-level students interested in healthcare security and secure data transmission.